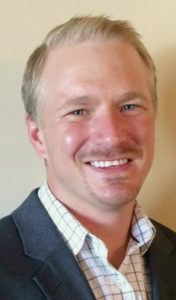 We are excited to have Blake Frederick on our Rural Mutual team as the new Sales Trainer. Blake has been an agent in the Madison area for the past 3 years and has consistently been a top producer. He works with our agents directly and is located in the home office in Madison, WI. Where are you from? I grew up in Wautoma; however, I have been fortunate to travel and have lived in 6 different states thus far. Why are you excited about working at Rural Mutual? After spending a few years as an agent, it is great to be part of such a closely knit group of people. It truly is a wonderful company to work for. What’s in your coffee? Absolutely nothing. The darker the better! Where’s your favorite place in the world? A golf course overlooking the ocean on a 70 degree day. Welcome, Blake. Rural Mutual is happy to have your experience and expertise on our team! Want to work for Rural Mutual? We are hiring. Click here to learn more and apply online to work at Madison’s Best Places to Work.